Like owner, like pet. I’m a fussy eater and very picky and so is Naomi, our cat. Sometimes she will refuse to eat her own food especially if my roommate and I are eating our own. That’s why I’m excited to have her try this new food by Fussie cat. They have a wide variety of flavors including premium, super premium and market fresh. Those also range from meats of turkey, chicken, salmon and tuna. Each meat also comes with variety of veggies for your cat. Their comprehensive website allows you to pick a variety of types of food and then see what their made up of in terms of ingredients. Now you’re probably thinking “What sets this apart from other pet foods?” The answer is that unlike many commercially available pet foods which contain large amounts of simple carbohydrates as their first and second ingredient, Fussie Cat recipes are based on their Meat First philosophy. Meat or fish are always the main ingredient with them. Cats are obligate carnivores which means they require a high amount of protein to thrive, and lack the digestives enzymes to properly break down and combine incomplete plant proteins. 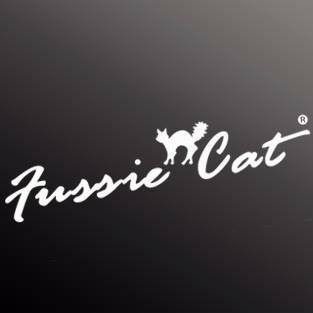 To purchase your very own bags of Fussie Cat for your own feline friend, you can go to Fussiecat.com and click up top for “Where To Buy” to see where you can buy it right near your own home! Dealspotr is having an exclusive deal where you can buy one 2lb bag of Fussie Cat Market Fresh Dry Kibble and get another one FREE. That’s right, BOGO ON CAT FOOD! Cat food can get expensive so keep an eye out for various deals they post on their other DealSpotr page. Links are below! For this deal, be sure to use my promo code BRETTBURGER.